He’s enjoying his Western Conference experience, but Marcin Gortat also discussed how Luka Doncic is changing the level of European players in the NBA. 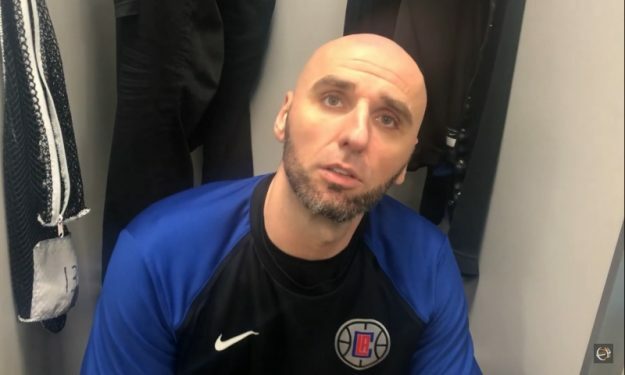 Eurohoops collaborator Mitja Viola had the chance to catch up with Marcin Gortat about the Los Angeles Clippers, Danilo Gallinari and Luka Doncic. Last summer, the 34-year-old center returned to the demanding Western Conference and said on the Clippers: “I’m in a much better organization. It’s much easier to play”. He later mentioned he connected right away with Gallinari and that his teammate helped him adapt to Los Angeles. “He’s not only a great player on the court, he is also a tremendous friend off the court” he pointed out. He also referred to Doncic’s experience on a Club and National Team level in Europe, to mention: “For a kid 19-year-old, he’s got big balls to go out there and ball like that”. Asked on the next big European player to march into the NBA, Gortat finished his interview predicting: “My son. He’s not born yet”.